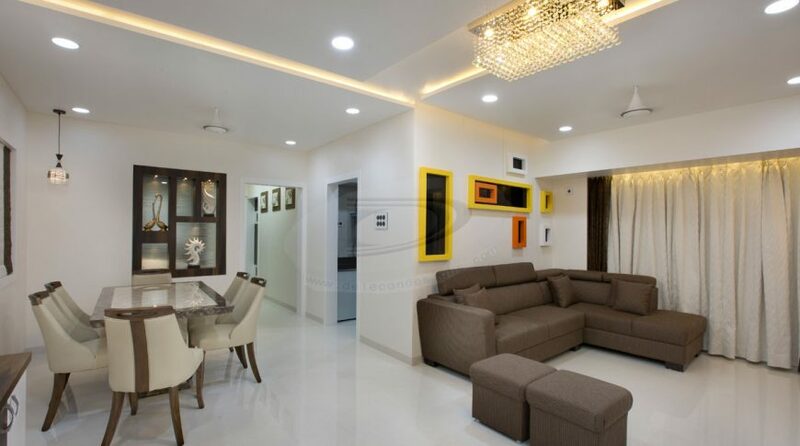 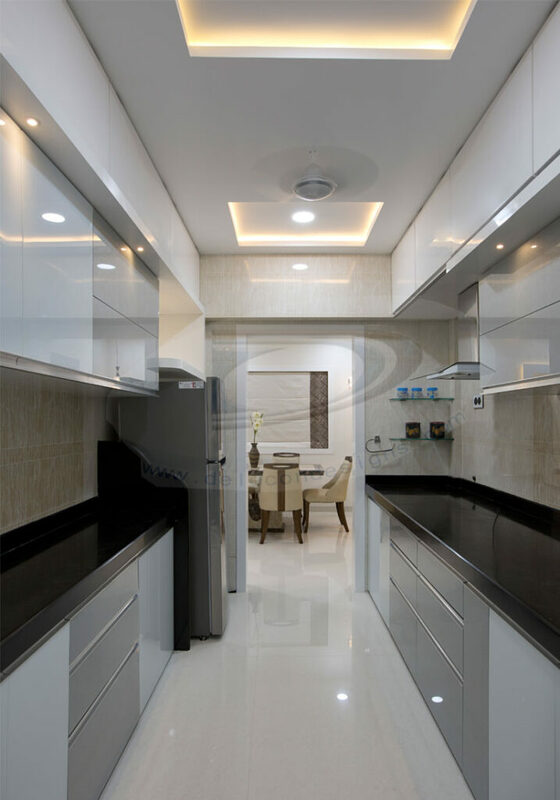 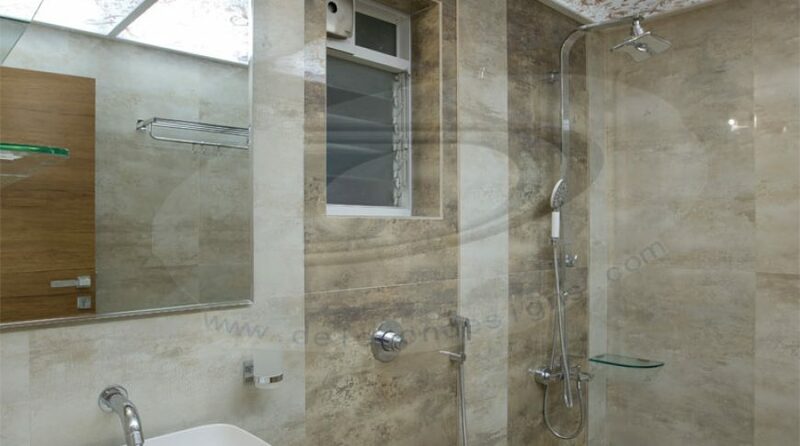 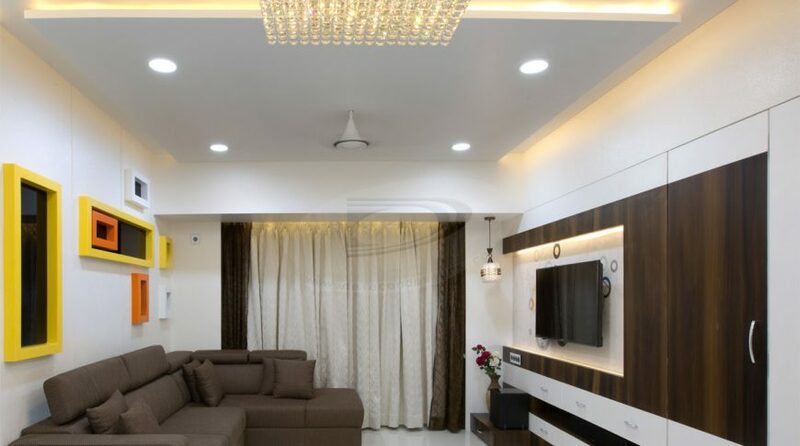 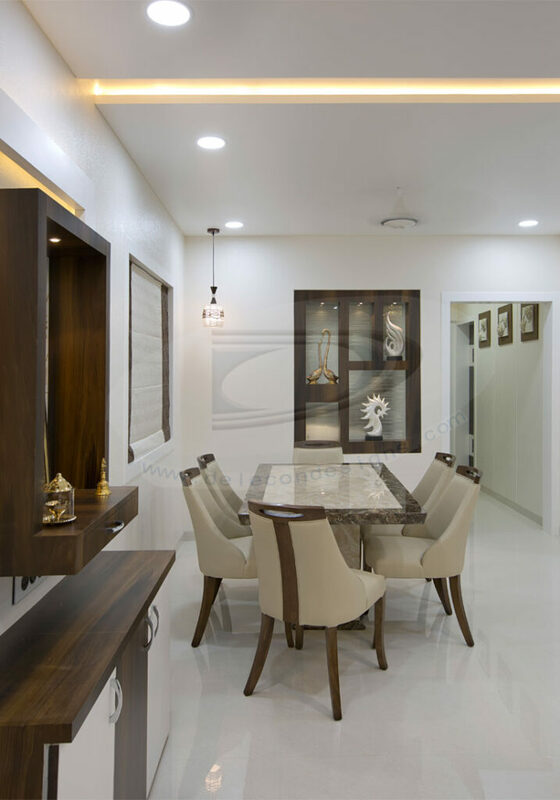 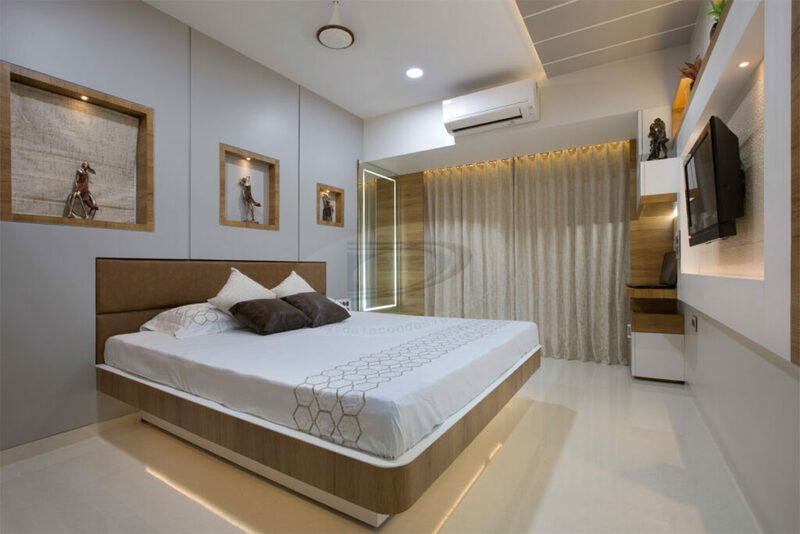 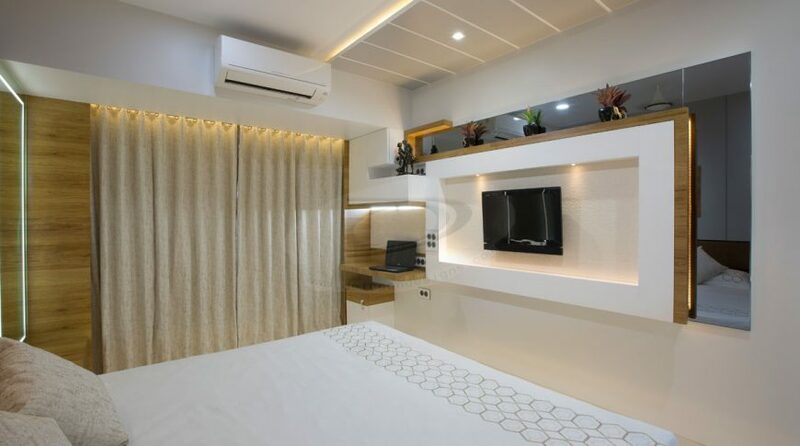 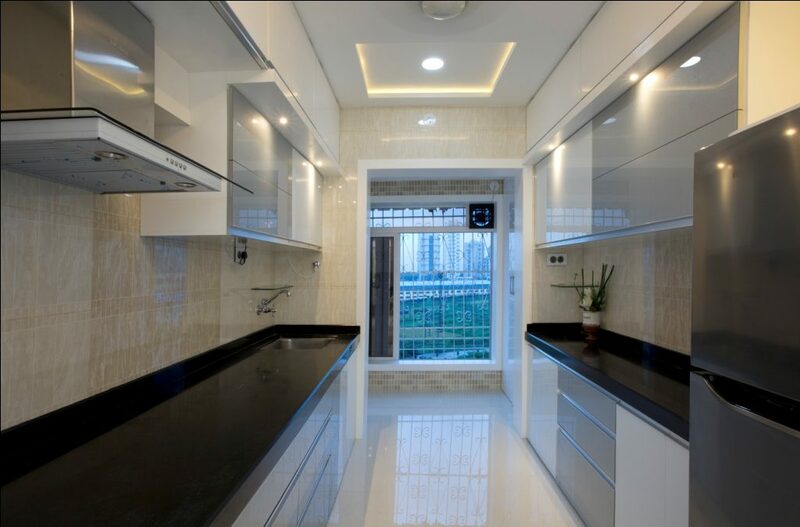 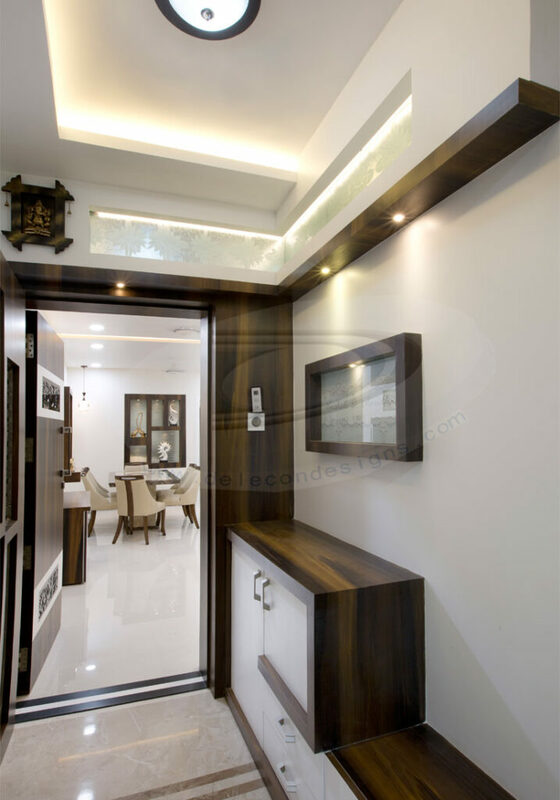 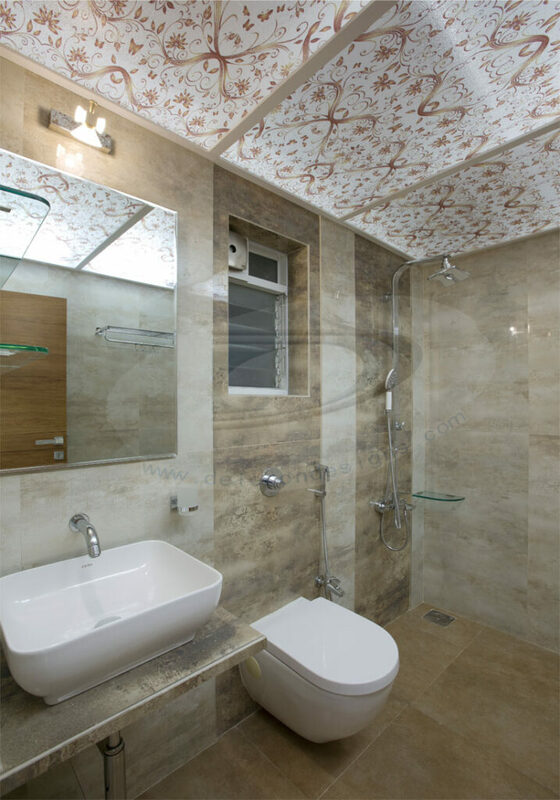 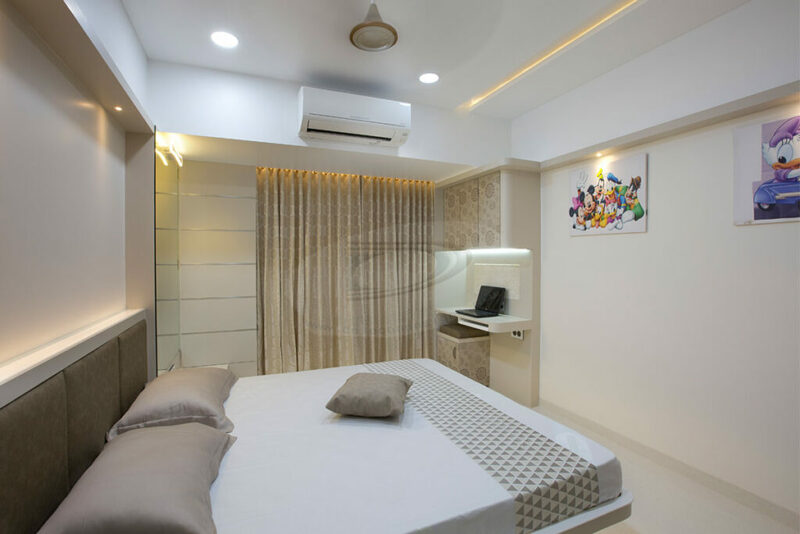 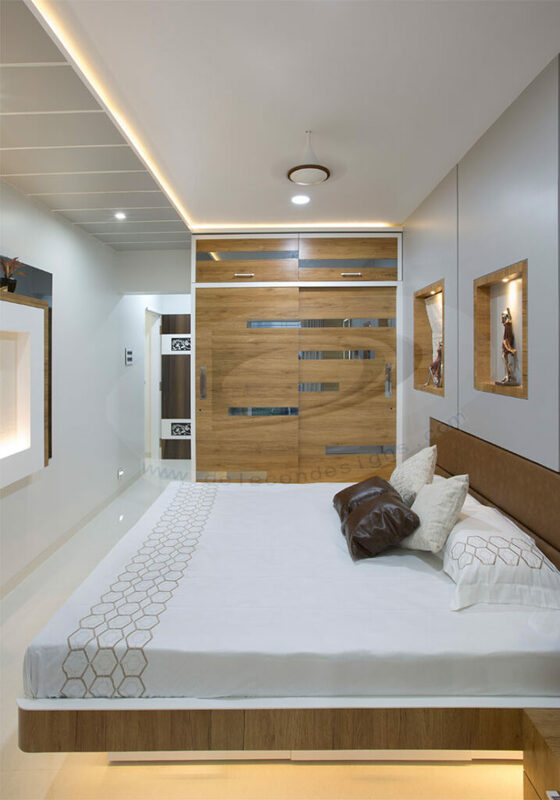 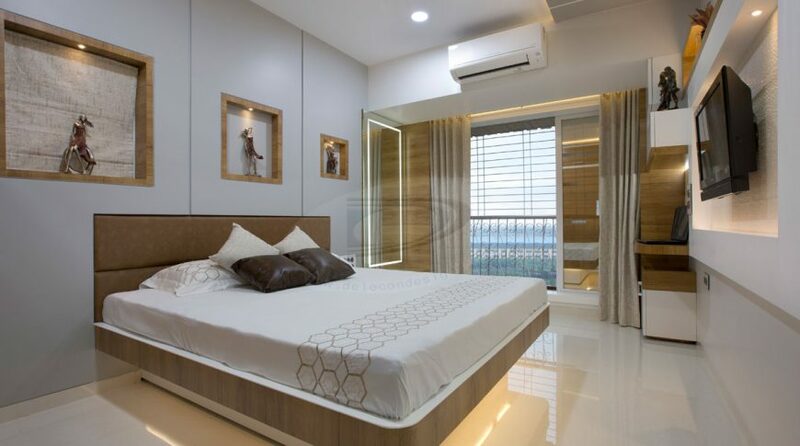 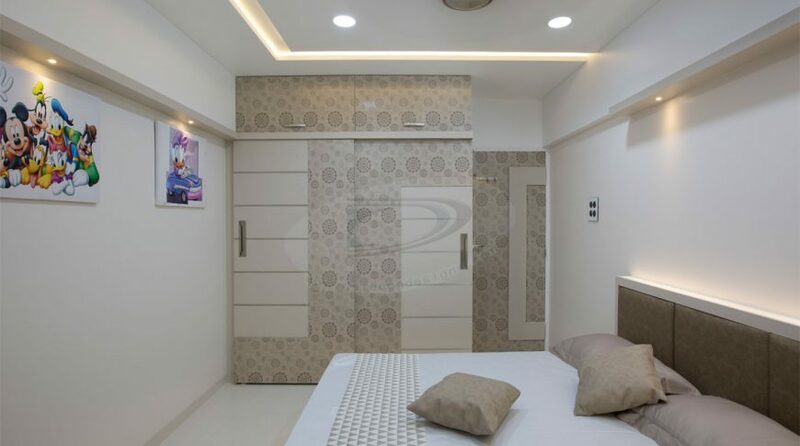 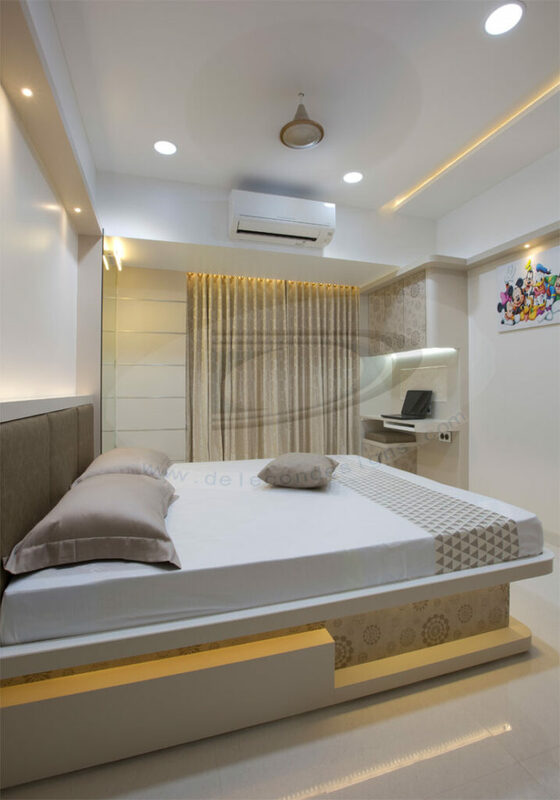 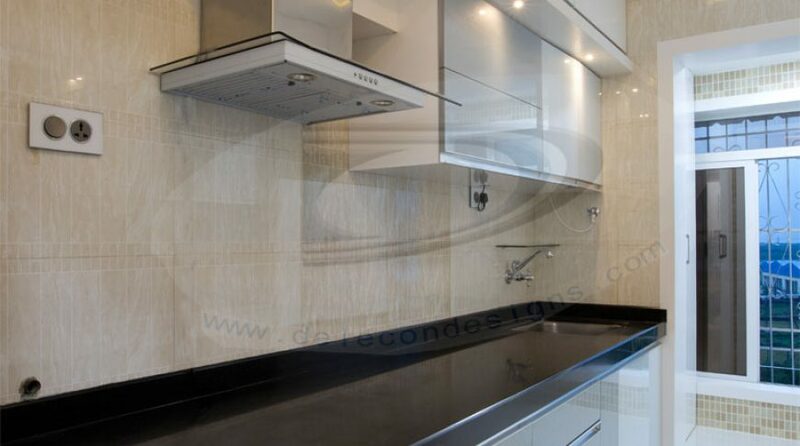 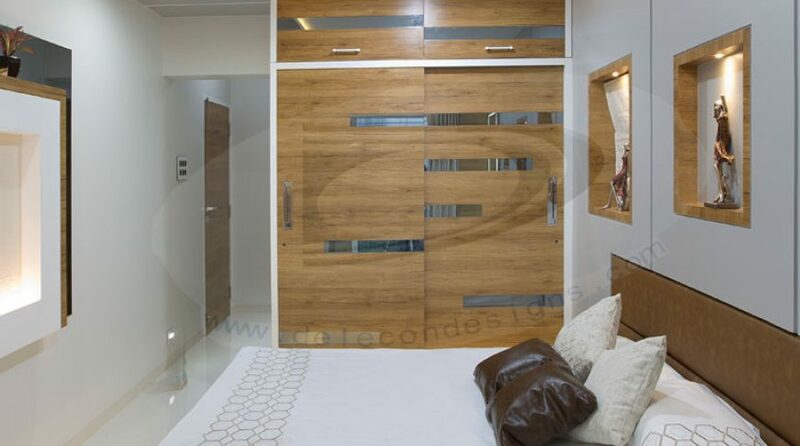 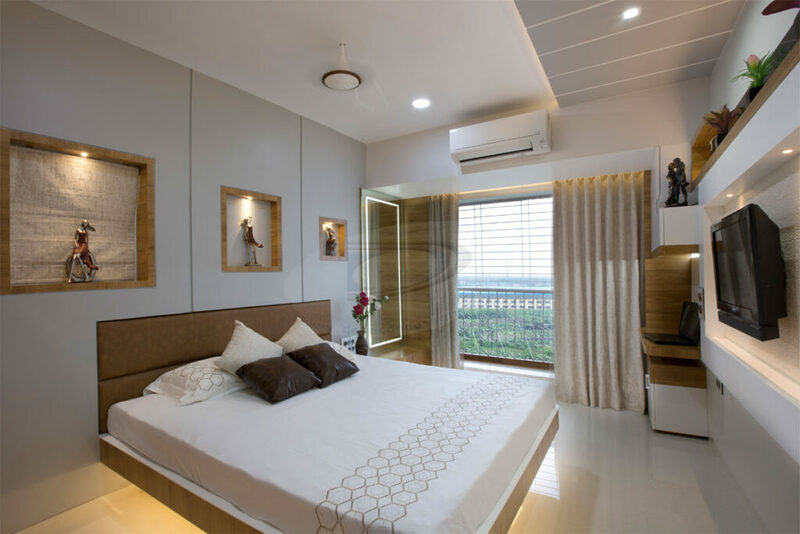 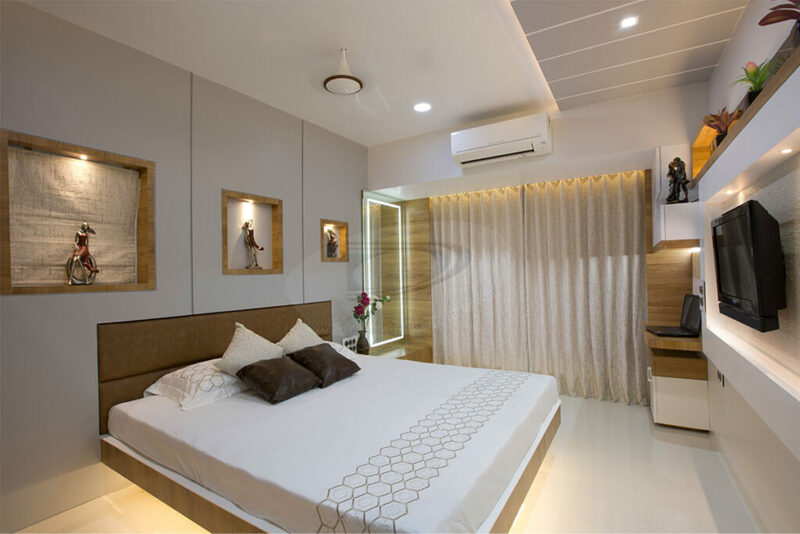 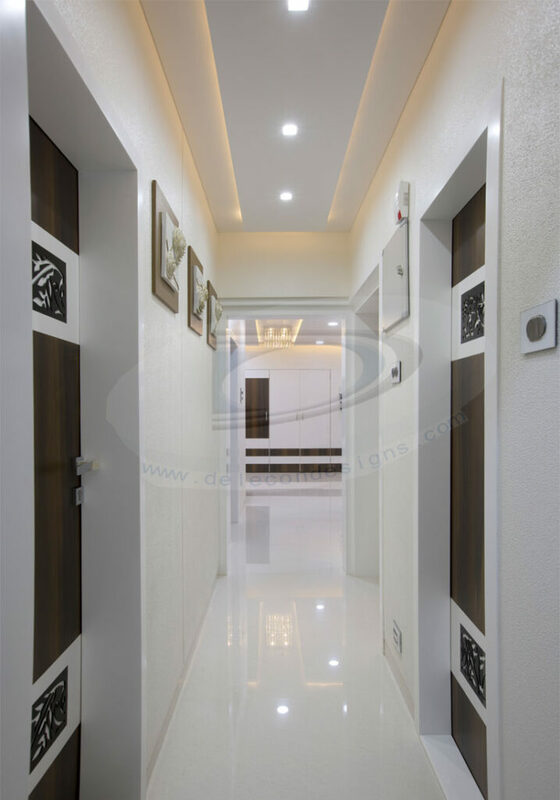 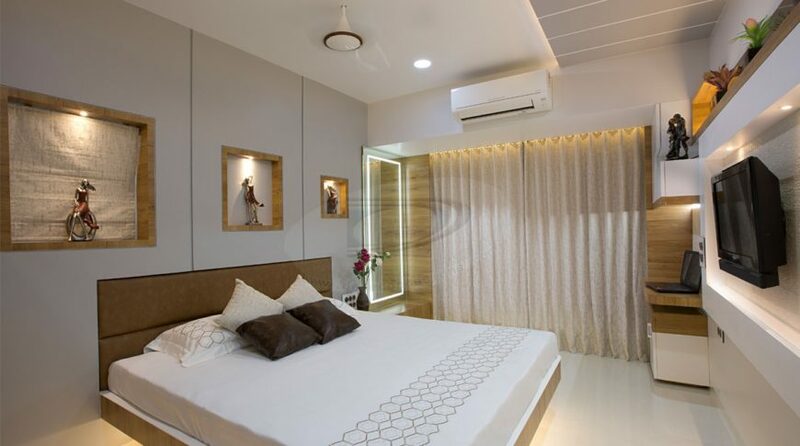 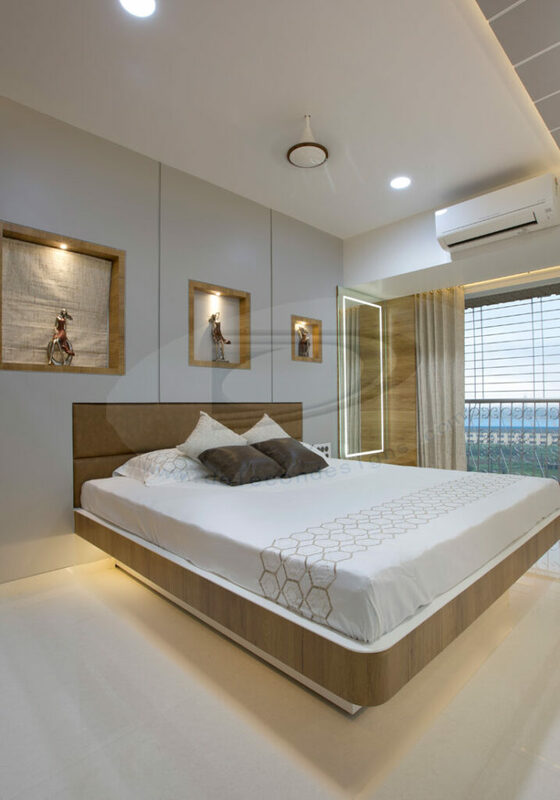 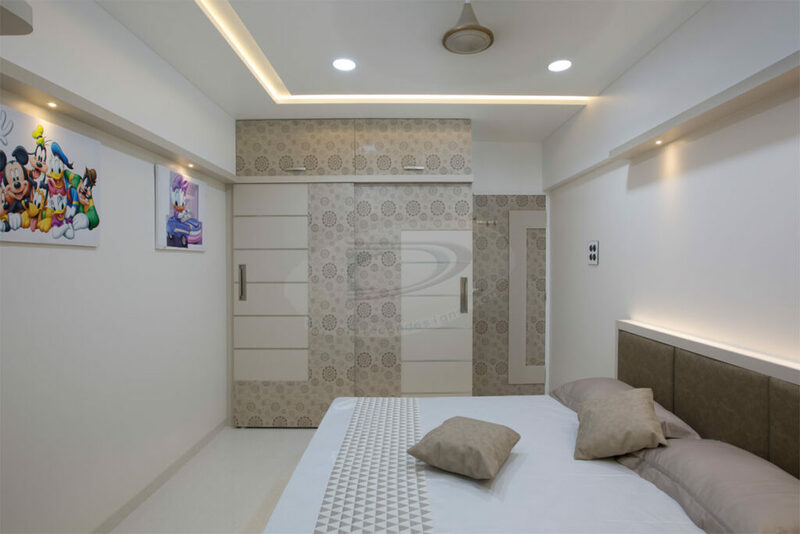 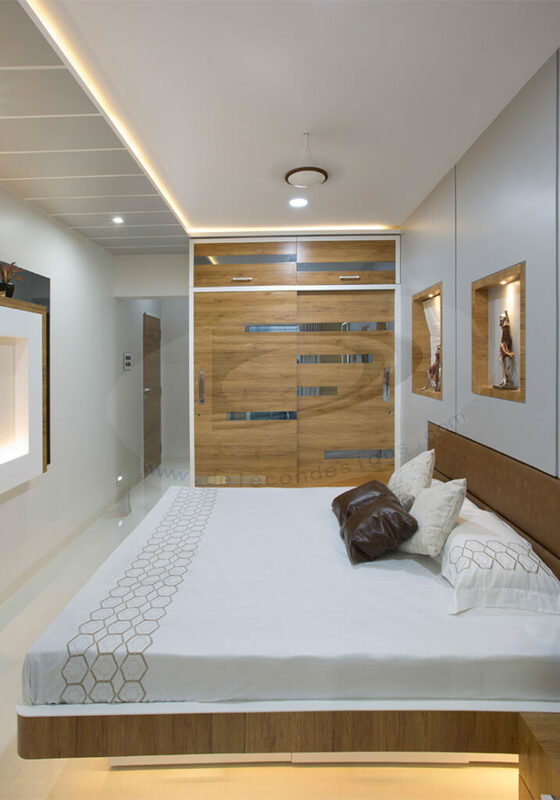 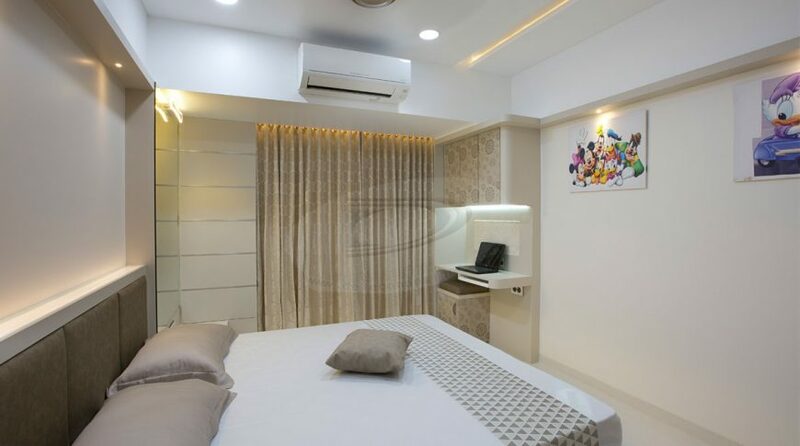 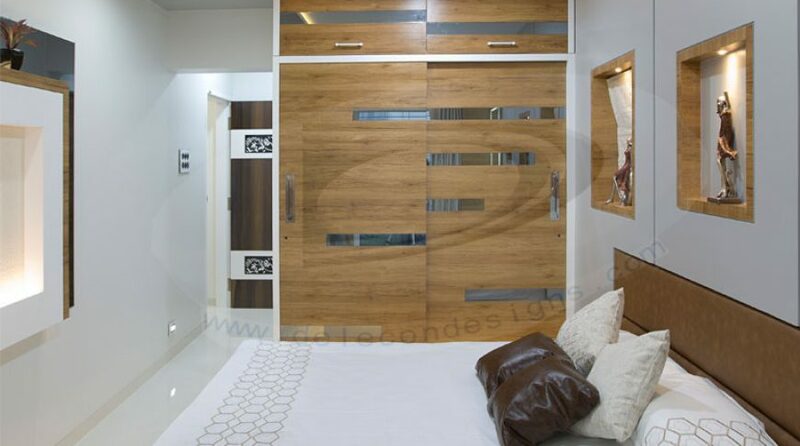 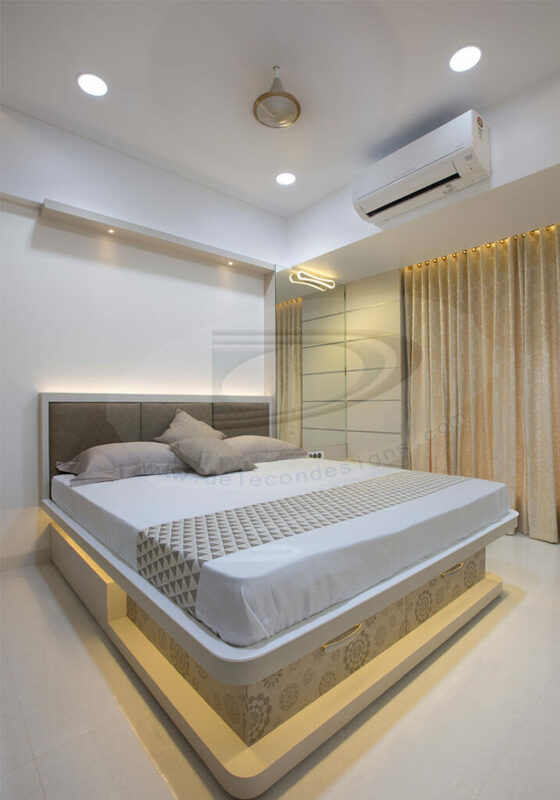 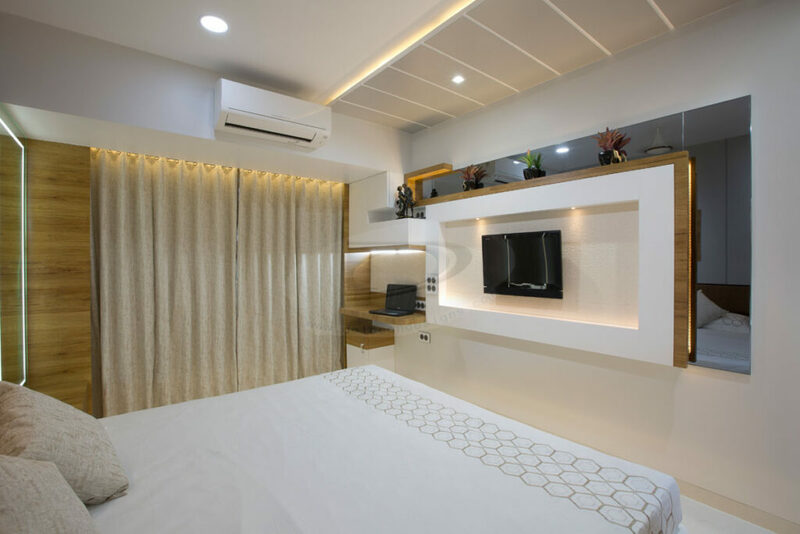 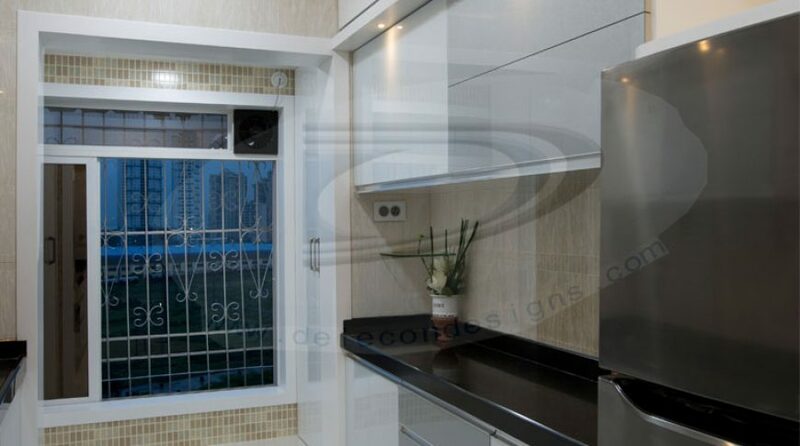 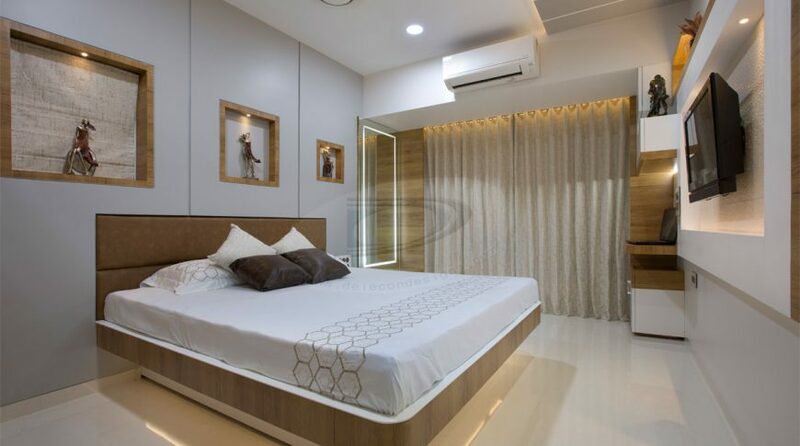 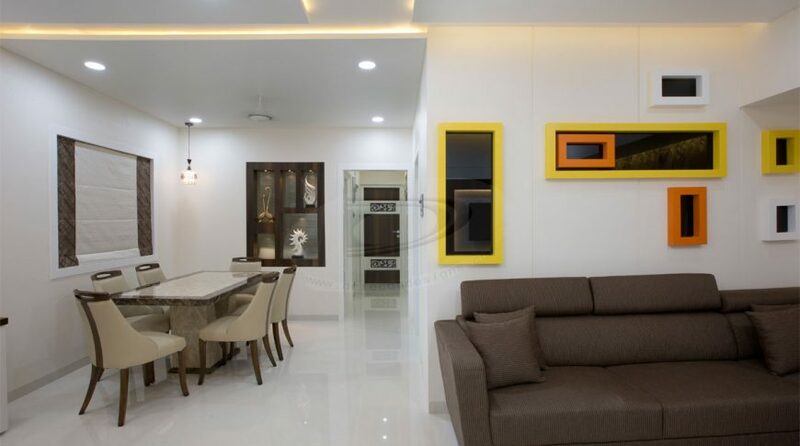 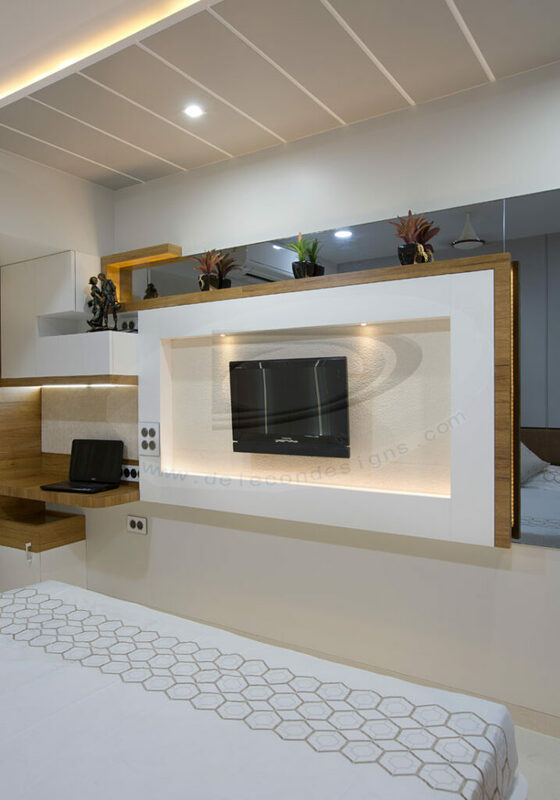 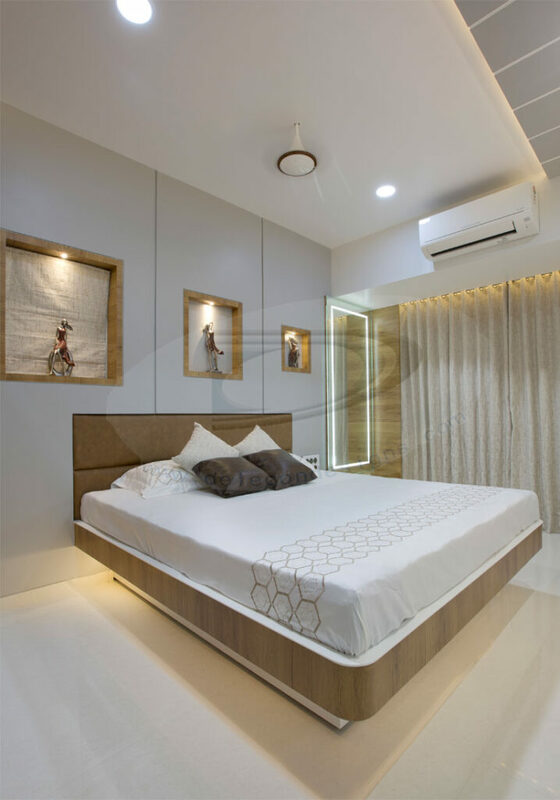 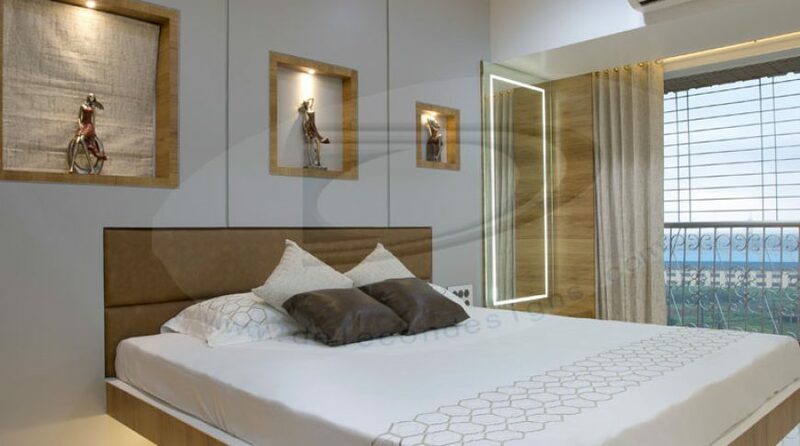 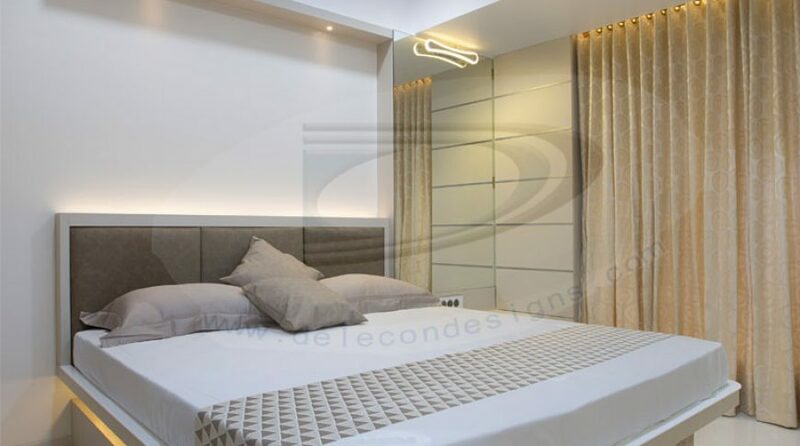 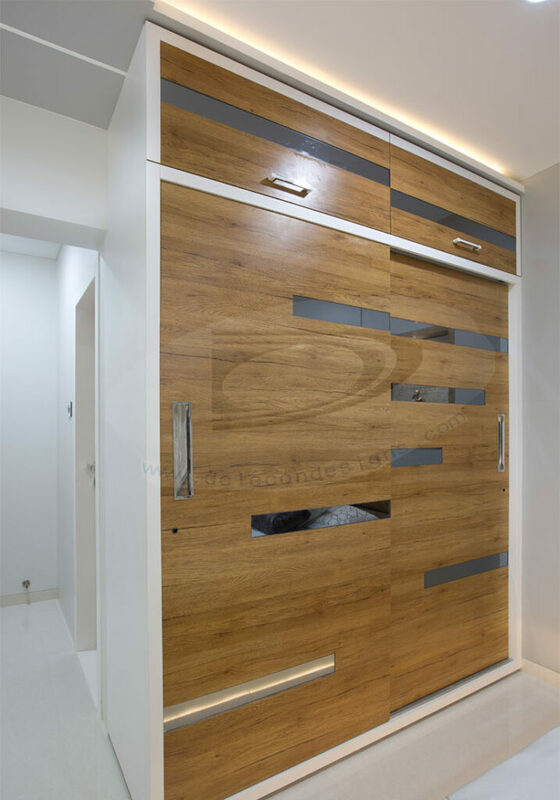 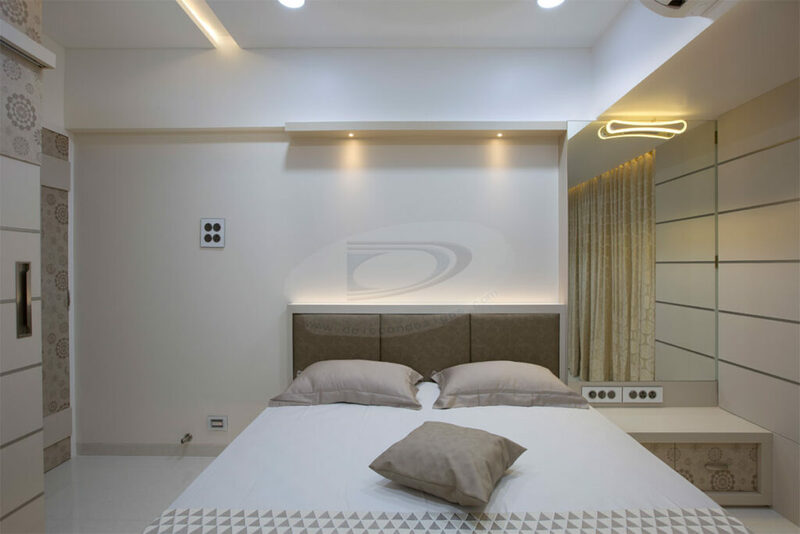 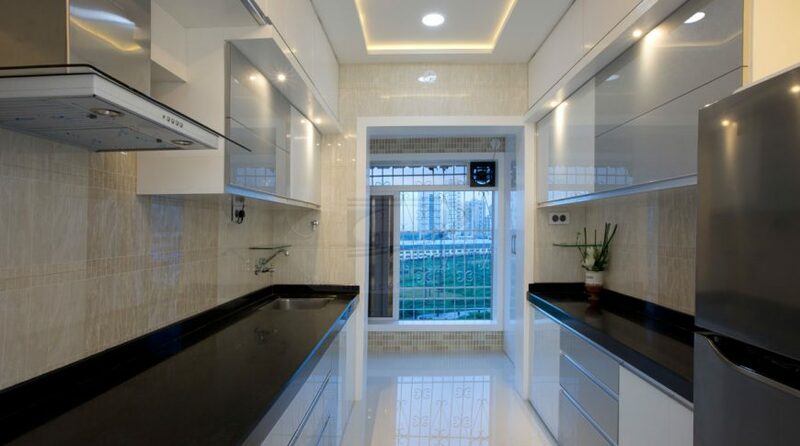 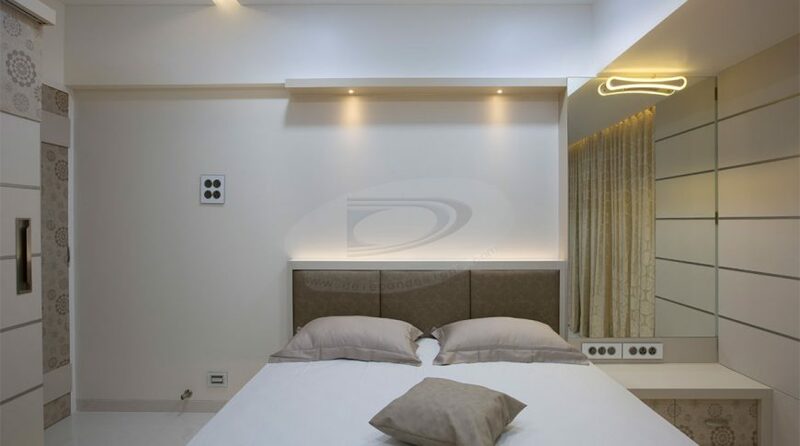 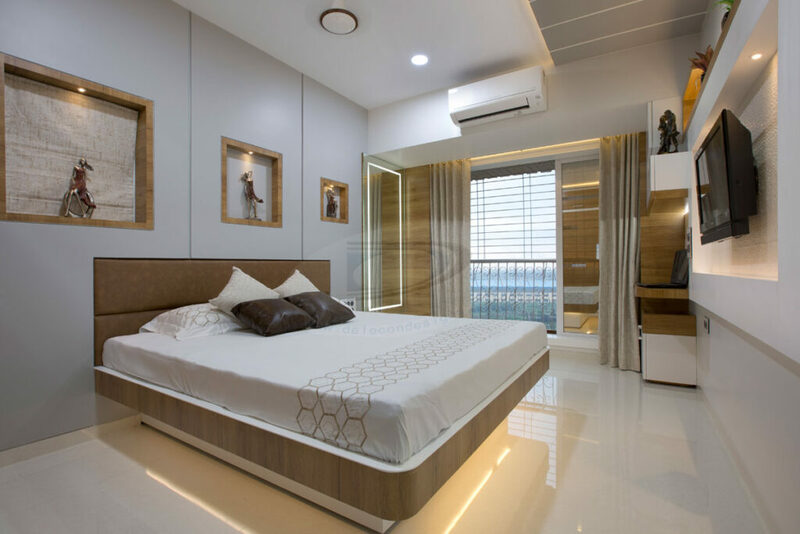 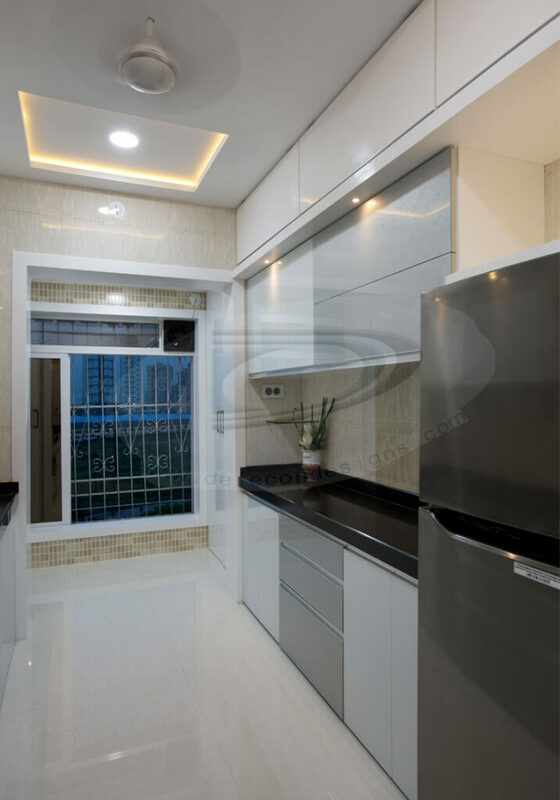 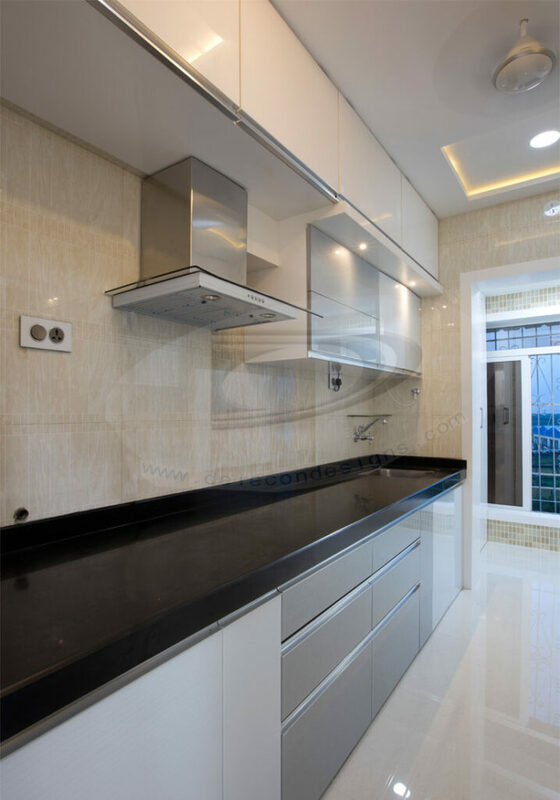 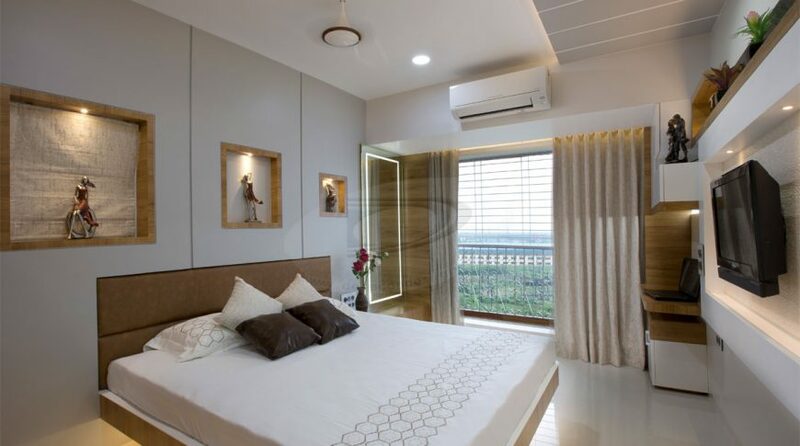 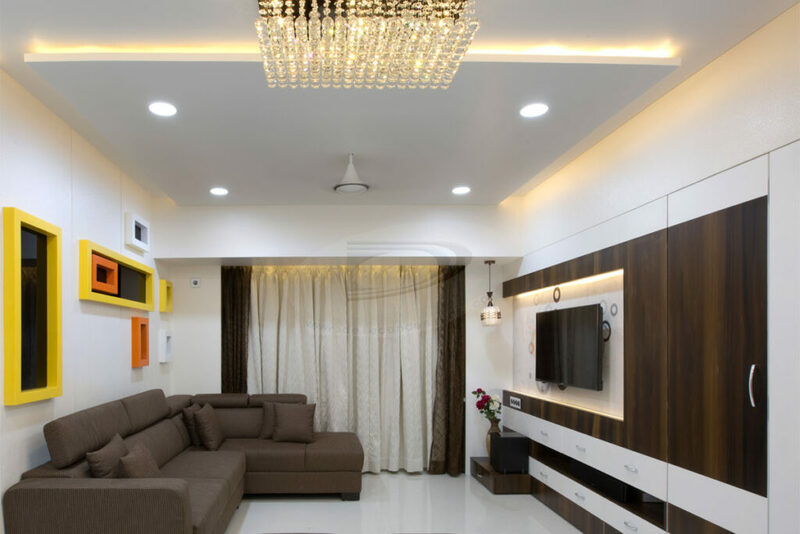 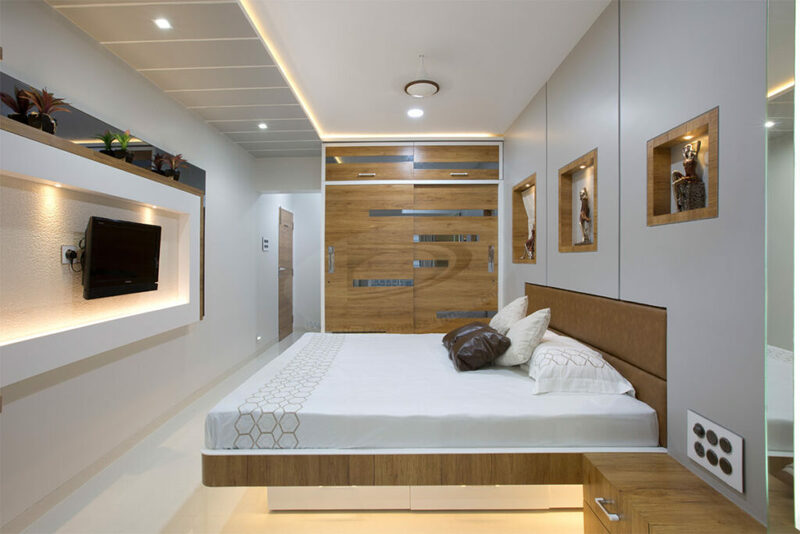 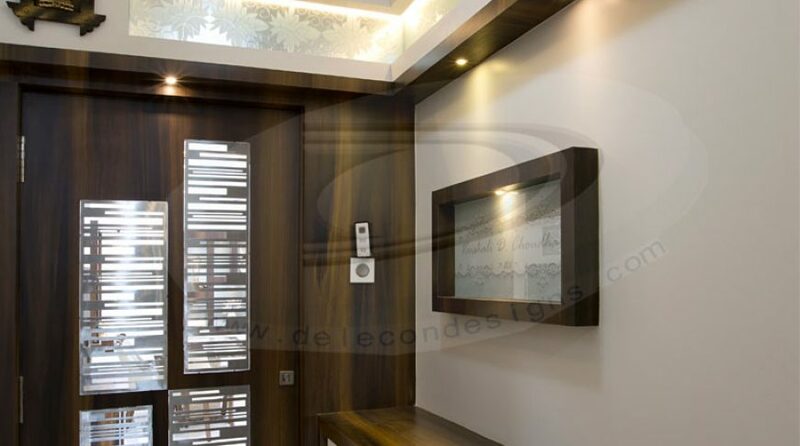 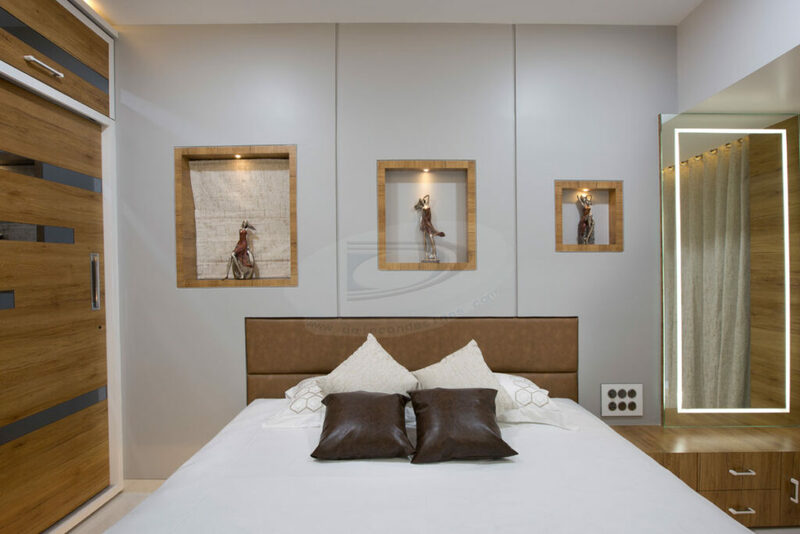 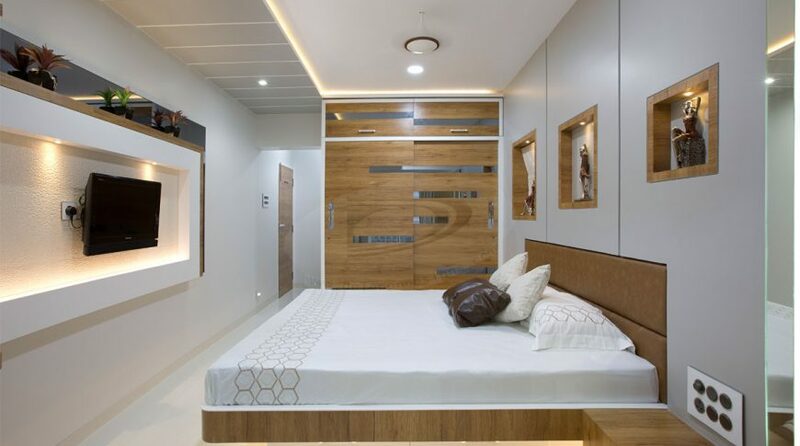 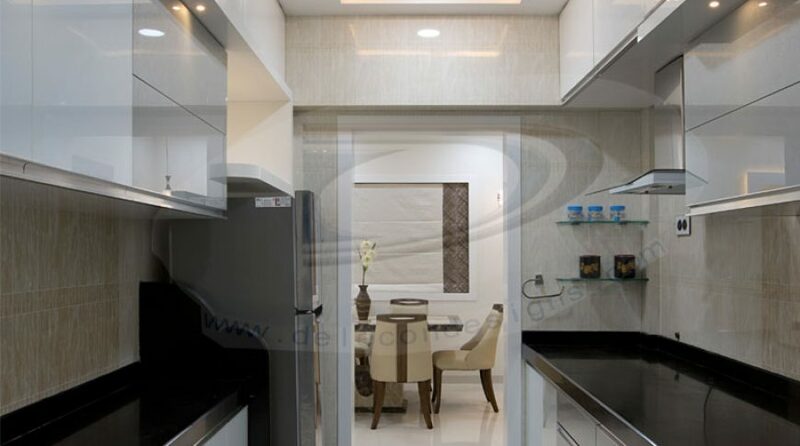 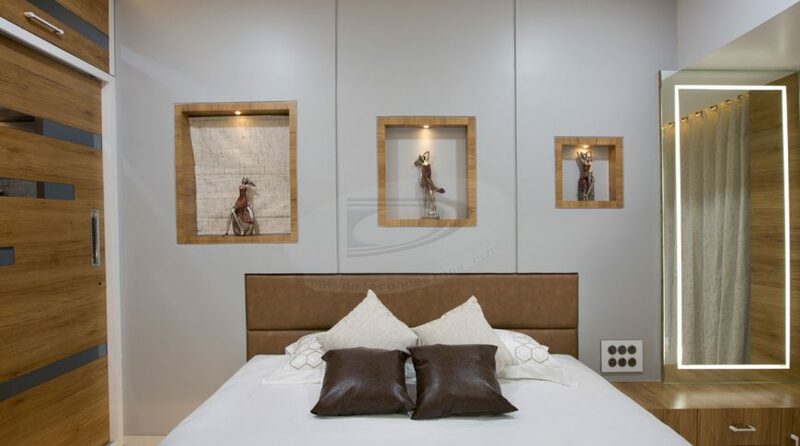 This 2BHK flat was lot more to say about its completion. 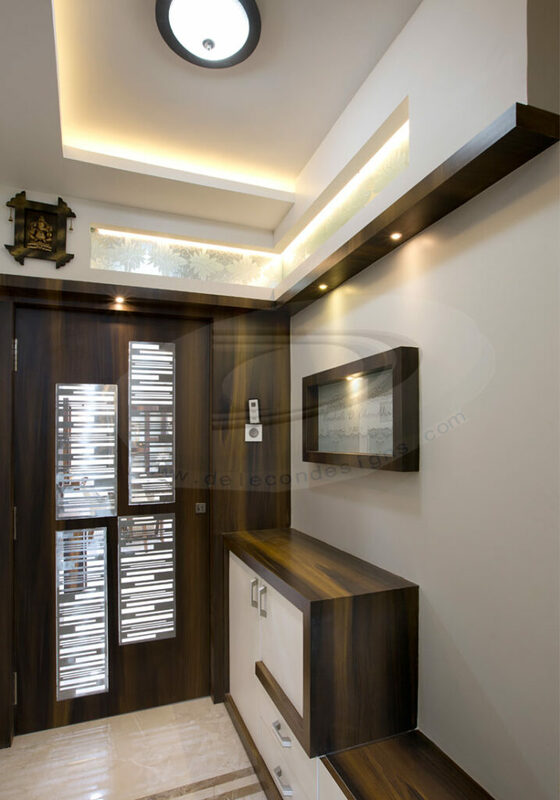 With big changes in civil work we settled our all carpentry details. Step by step we have achieved our target. 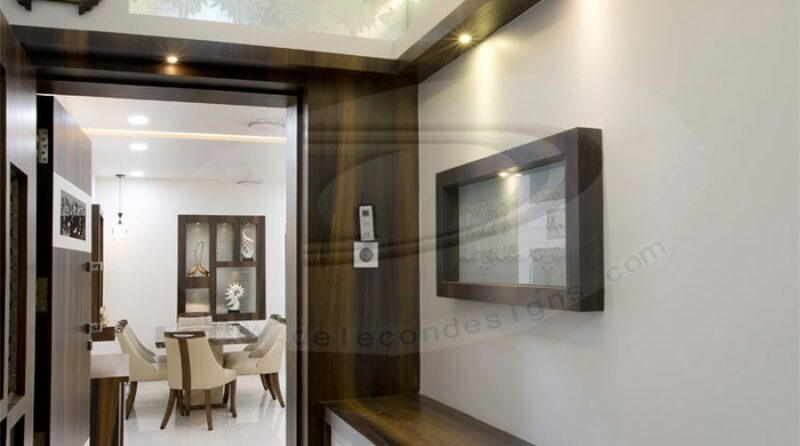 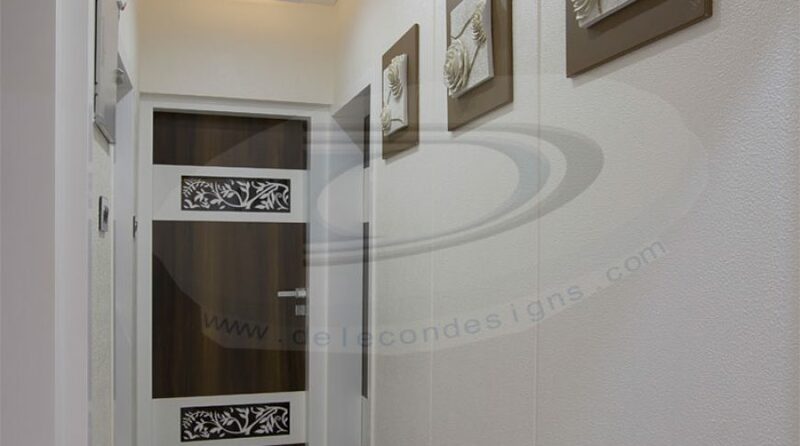 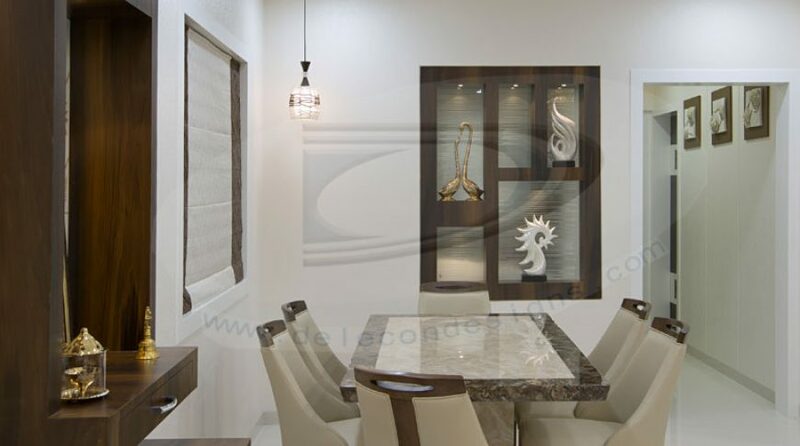 It is a combination of laminate & glass design home. 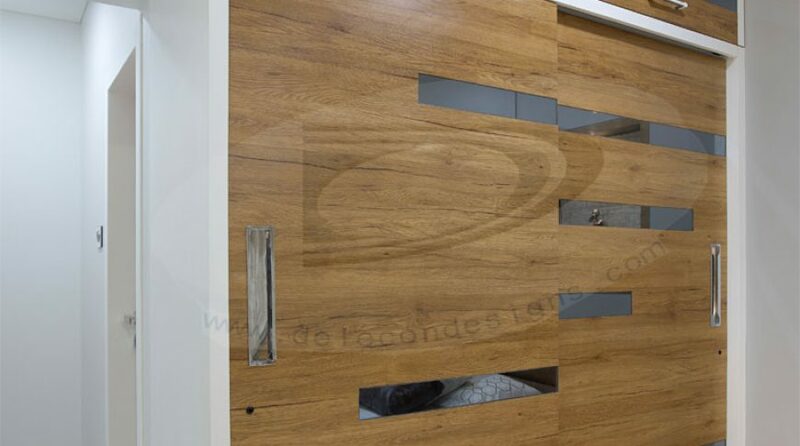 We maintained a proper workmanship while making all details in wood work. 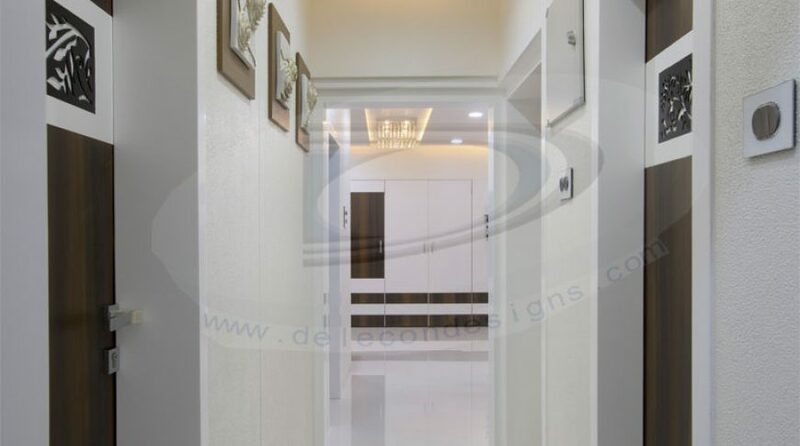 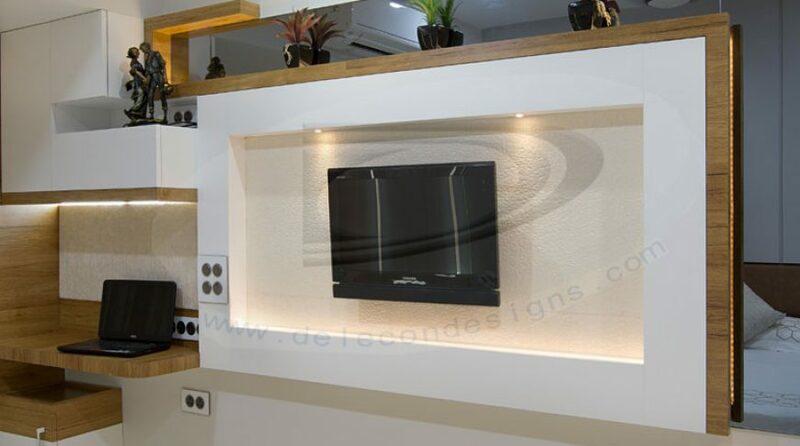 Finally delivered this modern design for our client Mr.Dinesh bhai. 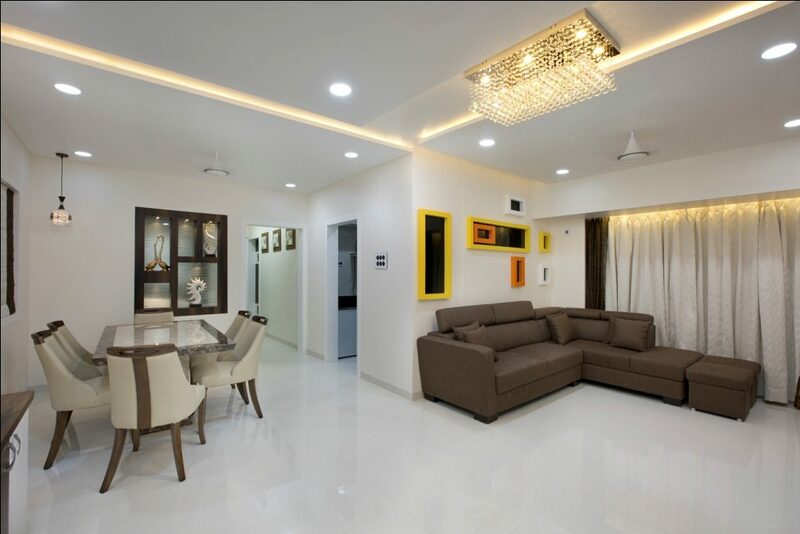 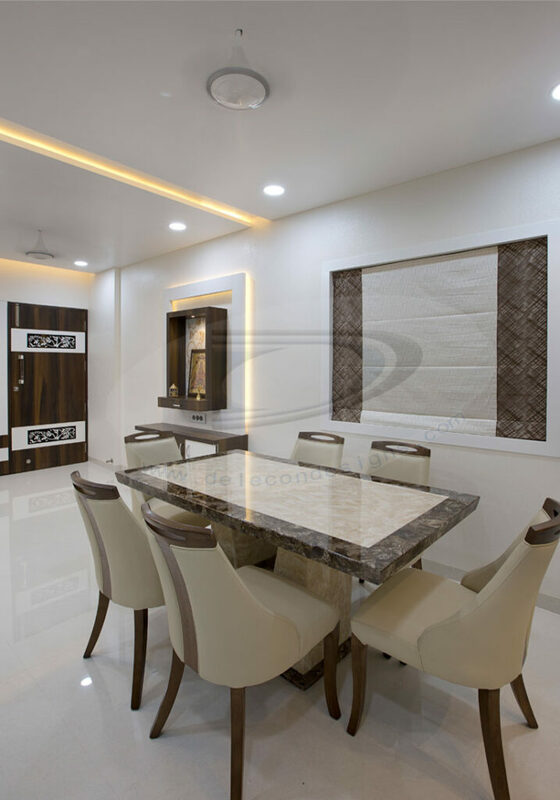 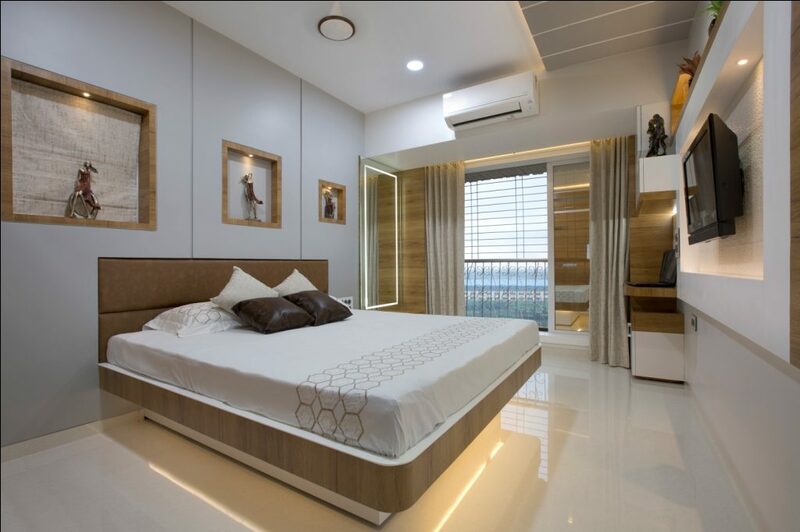 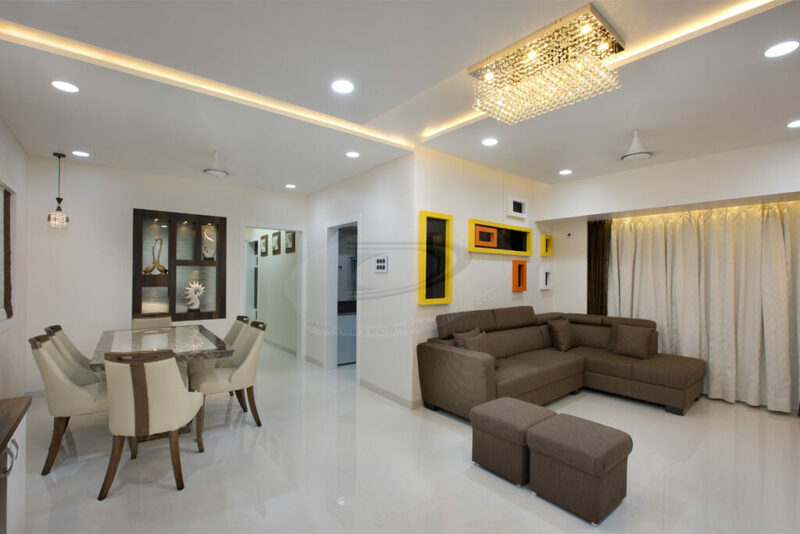 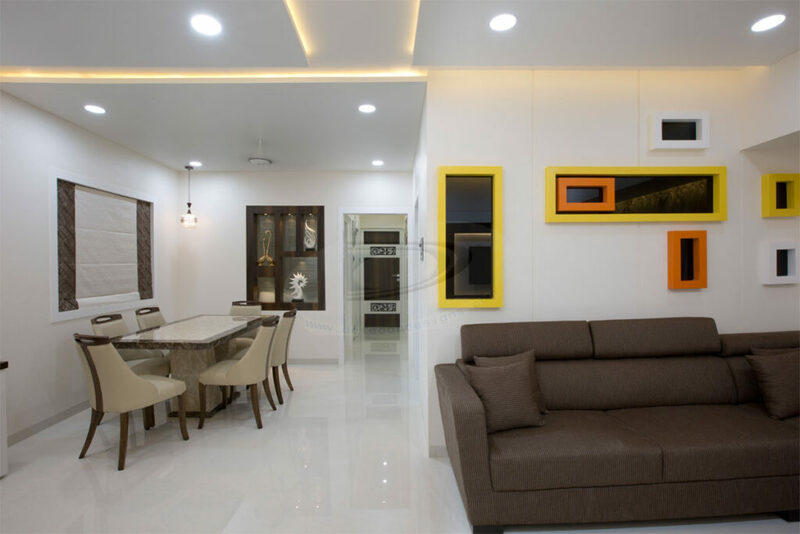 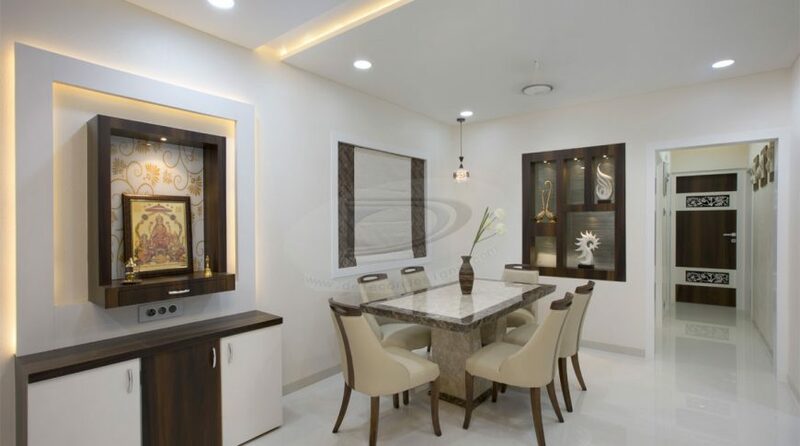 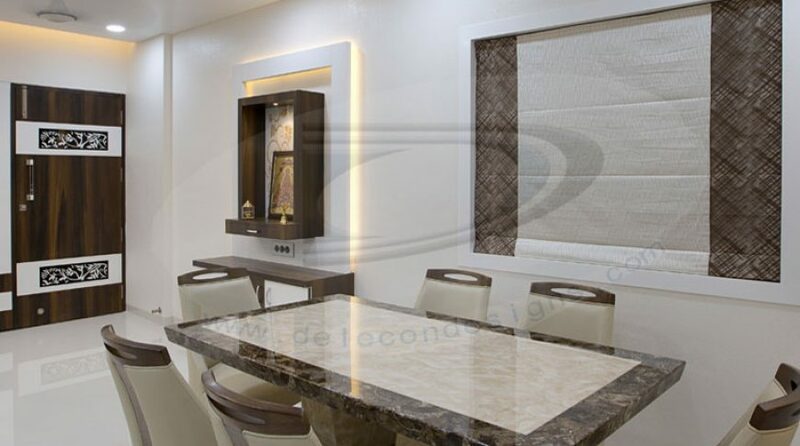 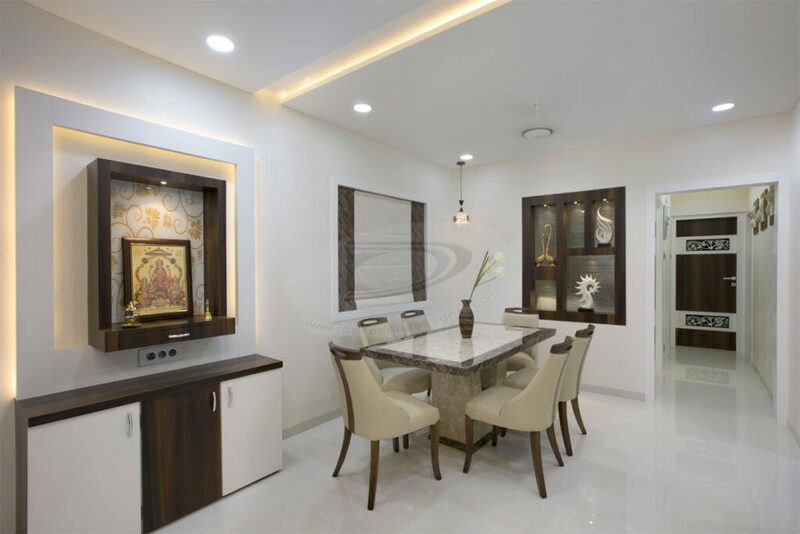 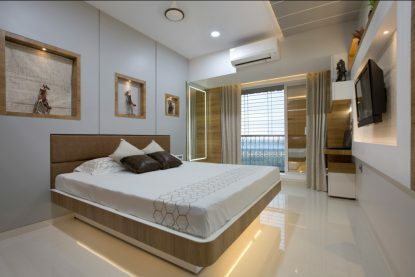 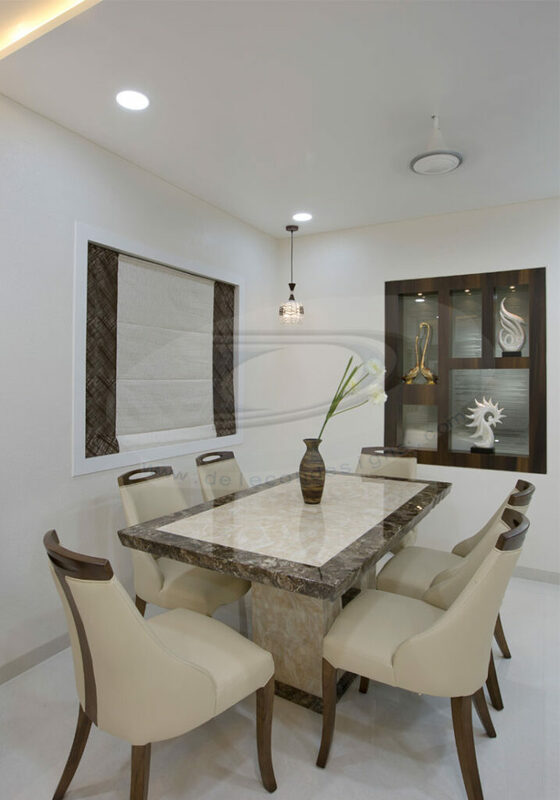 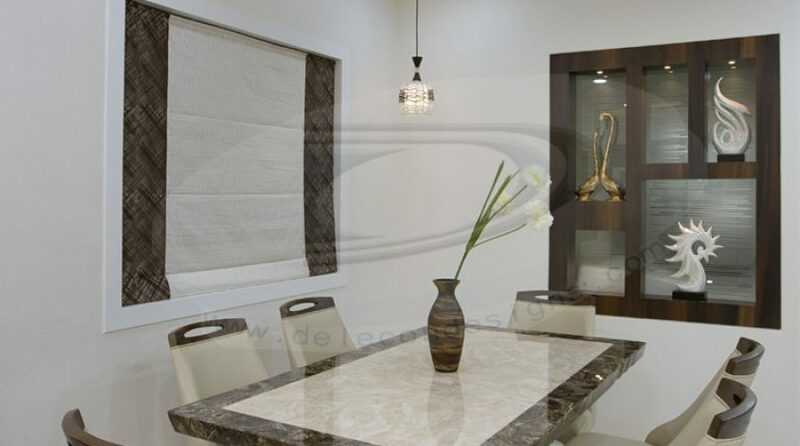 Mr. Dinesh is investor in real estate & wanted unique modern design to present his family. 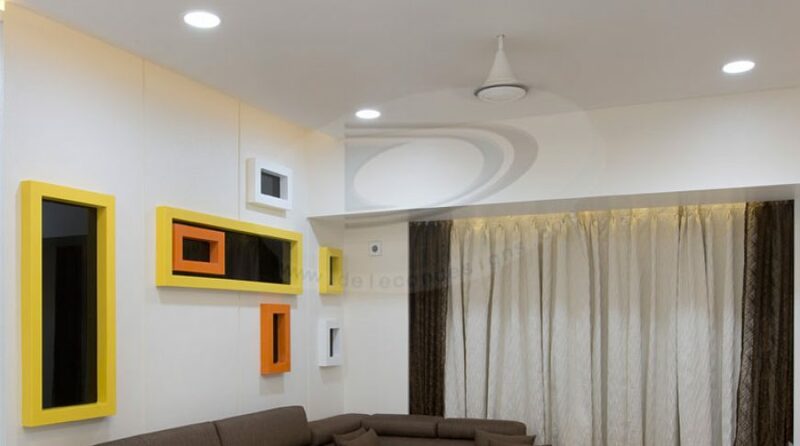 We started the flat with minor changes in layout. 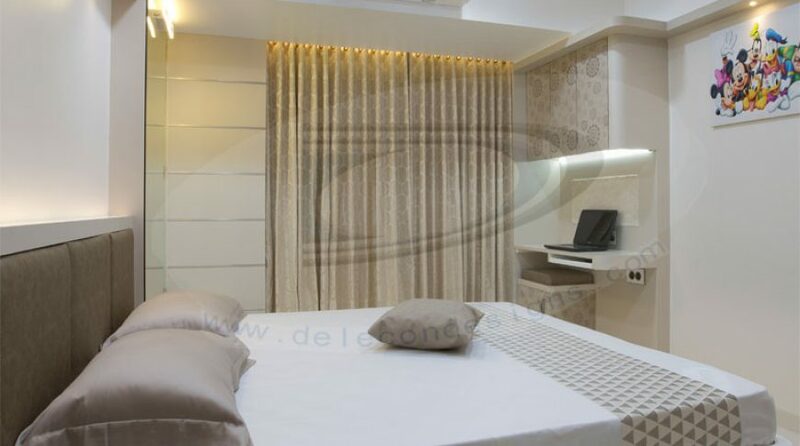 We added all balconies in bedroom area & in living room too. 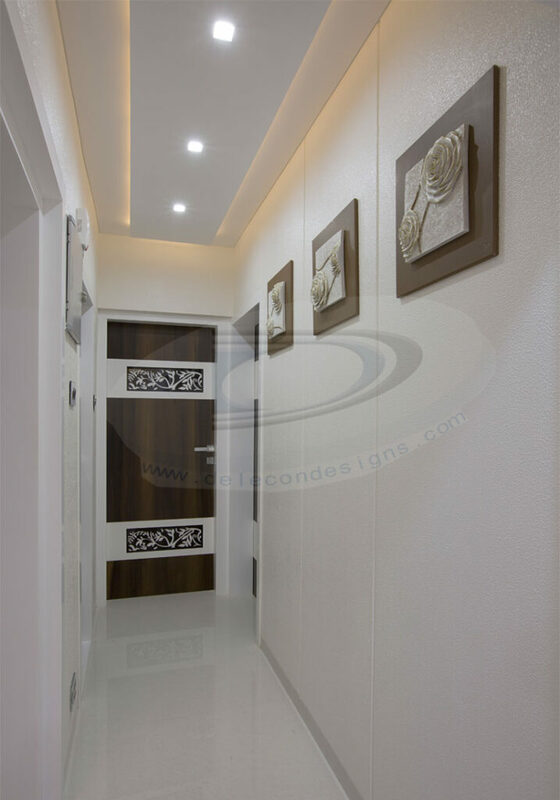 Once our civil work over than we started focusing our furniture design concept. 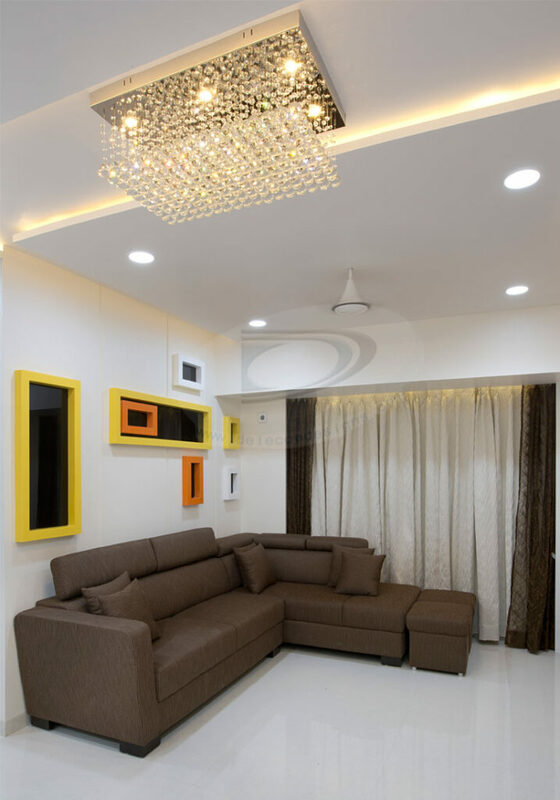 Finally this residence came in our one of important portfolio to display.